In the course of our earlier discussion of the structure of the Revolutionary Independent world vision, we suggested that that structure should be understood, not as a single entity to be grasped synchronically, but rather as a changing entity best grasped in terms of its movement, its central pattern of development. We pointed to the existence of an initial set of rationalist categories, which are premised upon, and indeed contain within themselves, a set of essentially optimistic ideological assumptions. And we suggested that this system developed, under the impact of the shock of the Restoration, two alternative, but not incompatible, responses to the triumph of un-reason over reason, the one personal and quietistic, the other political and historical. 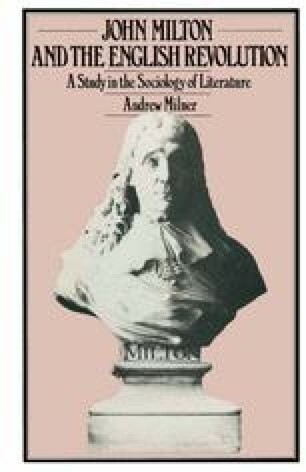 This presents us with a relatively straightforward framework for the analysis of Milton’s life-work: a schematisation which is concerned, firstly, with the works of the pre-Restoration period, which express the world vision of an emergent triumphant rationalism, and secondly, with the works written under the Restoration, which express the world vision of reason embattled. Alternative schema are, of course, available.